Listed below are some tentative closing dates to ponder. I know the majority of folks are pining for some springtime temps, but seeing this list makes the snow season seem really short. 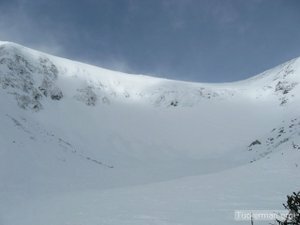 It's been an interesting winter from a weather perspective and for me personally as I've recalibrated my sense of skier-hood to mesh with the Green Mountains. But I'll save all those thoughts for another day. 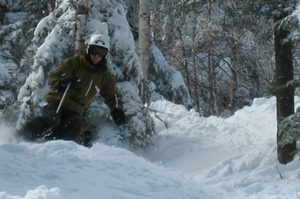 This list is courtesy of the Vermont Ski Area's Association. 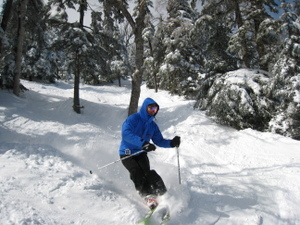 Lincoln Peak at Sugarbush: Open through end of April, conditions permitting. 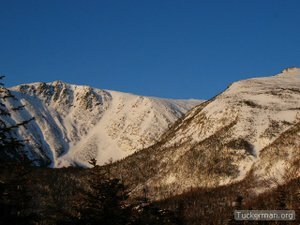 Mount Snow: No planned date. 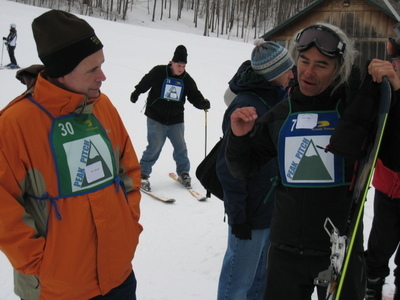 When the Surfrider Foundation’s winter offshoot — the Snowrider Project — was at Sugarbush last month, the hydrological cycle was a big topic of conversation. 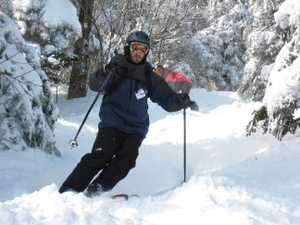 The Snowrider Project’s goal is to educate those living in mountainous areas about watershed stewardship and the connectedness of all the world’s H2O. The idea is to create a sense of responsibility for the mountain creeks that flow into suburban rivers and eventually meander into the ocean, where the Surfrider Foundation does its most extensive work. Now that the sizable Green Mountain snowpack is poised for a spring run, it’s a good time to consider what we’re sending downstream. 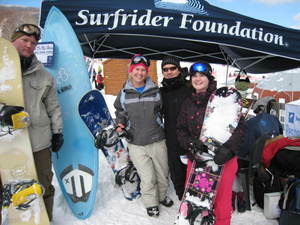 Because the Surfrider Foundation and Snowrider Project are environmental organizations and as such take global warming seriously, I asked the Snowrider representatives on hand last month (pictured below) about warming and how it might affect the surf. 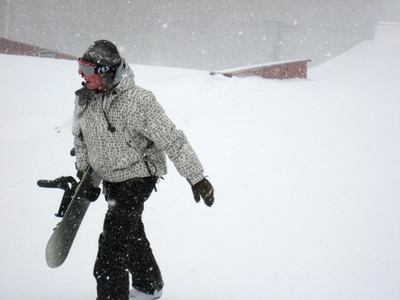 My argument about warming helping skiing was shot to pieces this year with all the rain we’ve received, but the theory of heavier precipitation events — bigger storms — had to have an affect on the surf, right? Remember that spot in Al Gore’s “An Inconvenient Truth” where Gore ran footage of hurricane Katrina and juxtaposed the death and destruction with his climate change science? His point (made in a definitively political fear-mongering way that soured the whole movie for me): expect bigger storms in a globally warmed world. Gore and his co-Nobel Peace Prize recipient, the Intergovernmental Panel on Climate Change, believe hurricanes will get bigger and more frequent as global temps increase. Here on the East Coast, the best surfing occurs when storms are barreling up the coast. In the days before they touch land, they send swells to the coastline and surfers start to get that same buzz we snowriders do when powder is in the forecast. 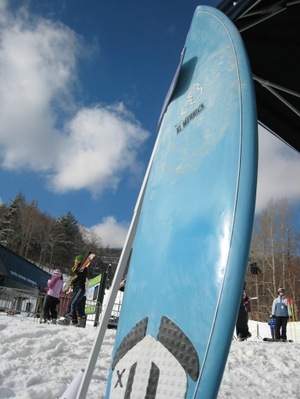 So I’m thinking — just as I used to about skiing — this warming thing is going to be great for surfers. Not so fast, I was told. Along with the predicted bigger and more frequent storms, there is also a predicted sea level rise associated with global warming. The rising sea level has the potential to completely wash out the beach breaks along the east coast, I learned. So while more storms might mean more swell, the swell won’t be breaking where it does now. Where will it break? Good question, but I inferred from our conversation that coastal homes might be involved. The thing is, the IPCC has moved on to the idea of adaption — that is, whatever’s happening may be beyond our power to control it so it’s time to learn to live with it. That is not at all to say conserving resources and developing renewable energy is not worthwhile. Even if the Earth’s climate is out of our hands, our pursuit of better energy use and production should be no less aggressive. If we can achieve that, we may eliminate our need for an Iraq policy or a business relationship with Saudi Arabia. And if in achieving that we put a dent in climate change, and these mid-winter rain storms turn back to snow and surfer’s aren’t worried about their beach breaks washing out, so much the better. Sometimes, after an ice storm puts the screws to the snowpack, the best thing to do is stick to something you can rely on: rails. 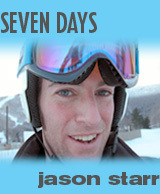 They're weather-proof, they're always there and they ski the same in soft snow and hard. 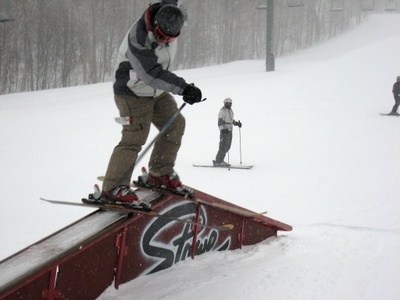 There were a good handful of all-weather skiers and snowboarders at Stowe on Sunday. 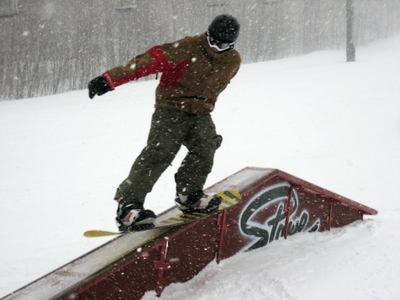 And with icy surfaces covering the mountain, many of them decided to stick to the terrain park. However, the surface was forgiving enough to sink an edge into. 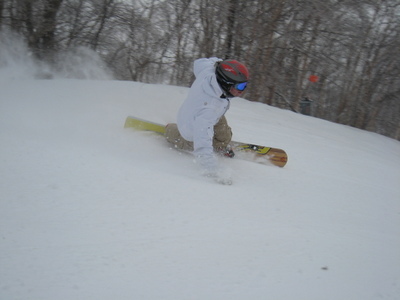 Stowe's groomers did a great job and the beginner and intermediate trails were classic loose granular. 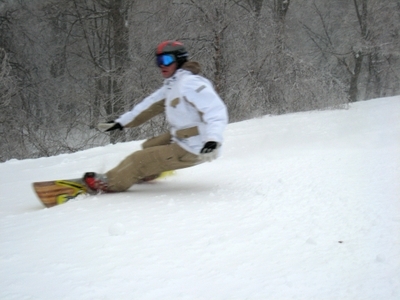 We even found a snowboarder with a racing setup willing to lay down some great carves for the camera. 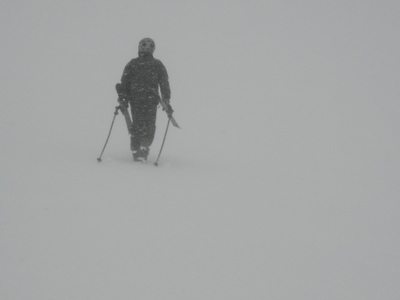 Snow fell heavy throughout the day, and a good 4 inches covered the crust on the ungroomed trails. 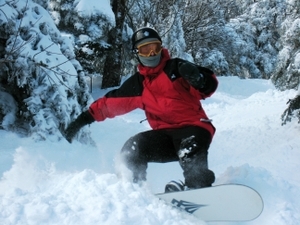 It'll take some serious melting, serious grooming or serious snowfall to soften surfaces. Now that daylight savings is here, it might be time to start thinking about melting. 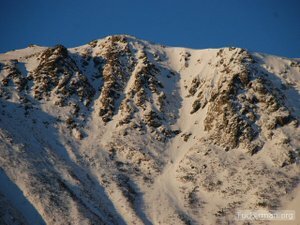 The snowpack is still deep (this was one of the top ten snowiest winters in history after all), so there is a lot of spring skiing to look forward to.